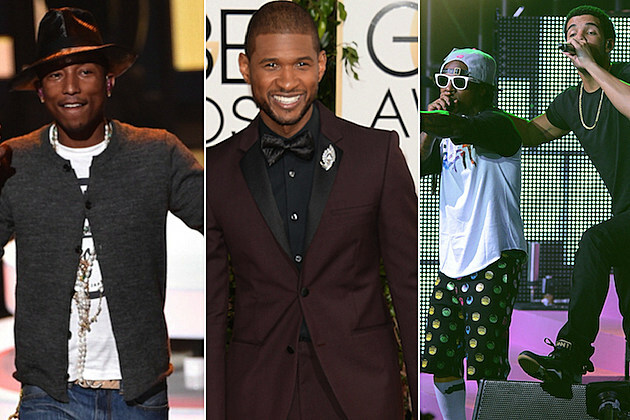 Music superstars Pharrell Williams, Usher, Jennifer Hudson, Drake and Lil Wayne have been tapped to perform at the 2014 BET Awards later this month. R&B crooners Trey Songz and Lionel Richie are also set to hit the stage as well. Both Drizzy and Skateboard P nabbed multiple nominations in the music categories with five and four nods, respectively. Other nominees include Beyonce, Jay Z, August Alsina, Chris Brown and Jhene Aiko. The BET Awards will take place along with the BET Experience concert extravaganza at L.A. LIVE from June 27 to 29. Chart-topping superstars Mary J. Blige, Maxwell, Marsha Ambrosius, Rick Ross, Jill Scott and A$AP Rocky are among the big names hitting the stage during the three-day event. The 2014 BET Awards, with Chris Rock as host, will air live from Los Angeles June 29 at 8PM ET on BET.